I have had the honour and privilege of following our soldiers across Gallipoli, France and now Passchendaele. At each one of these commemorations I have learnt about the turmoil, the courage, the hardship and the devastation. To put it into perspective, during the entire 8 month Gallipoli campaign we lost 2779 soldiers. In Passchendaele on the 12th of October 1917 we lost 846 men in one day! By the end of WWI we had lost a staggering 18,000 New Zealanders and it was all brought home to me knowing that I was about to head to the land where Private Tom Nelson was killed. 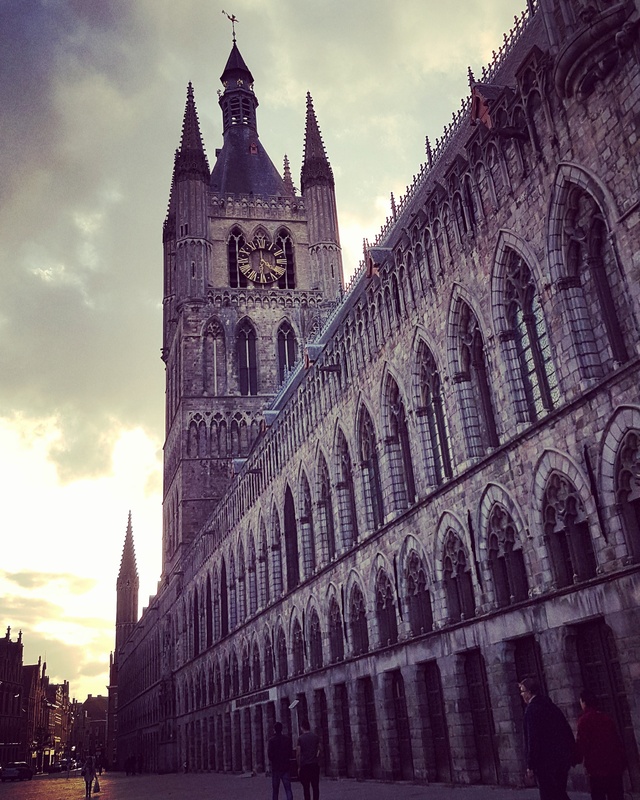 On the 30th of September, a 90 strong contingent including 20 youth ambassadors started the journey across to Belgium to participate in commemorative services honouring those that served 100 years ago. Our home for the next two weeks would be the beautiful city of Ypres in west Belgium, a short 20 minute drive from Passchendaele. The area is surrounded by farmland and the farmers were going about their yearly harvest, it felt like we could’ve been home in NZ. Then we noticed something a little unusual, a farmer walking up and down his land with a metal detector. We found out that he was checking for shrapnel or worse, unexploded shells. Remnants of the great war still evident even though a century has passed. On arrival, we immediately got into our work rehearsing, visiting memorials and attending various services in the lead up to the 12th of October. We were accompanied by New Zealand Historian Ian McGibbon who helped us understand the hardship and the treacherous conditions our soldiers faced back in 1917. He also helped me learn so much about my Great Great Uncle and the role of his regiment. One of our first stops was Buttes British Cemetery “Polygon Woods” to rehearse for the sunset ceremony. I looked around and had an overwhelming feeling, I took a big breath in… this is the land where Tom suffered shrapnel wounds which ultimately took his life. Walking through the woods we found a German pillbox which was taken over by Australians and utilized by us Kiwis for shelter through the winter months. Beautiful trees and lush grass surround the area, a stark contrast to the muddy hell endured my our troops. 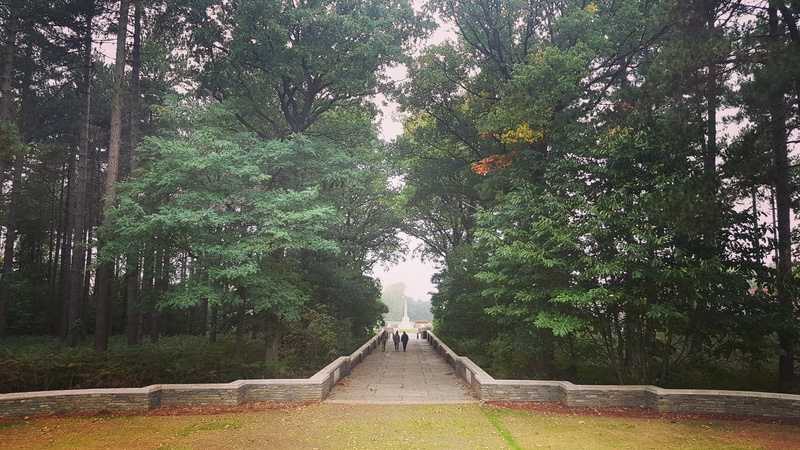 4th October – We headed to Nine Elms British Cemetery for a small service. This is the resting place of All Black Captain Dave Gallaher who was killed in action on this day in 1917 along with 500 other New Zealanders in the attack on Gravenstafel Spur. 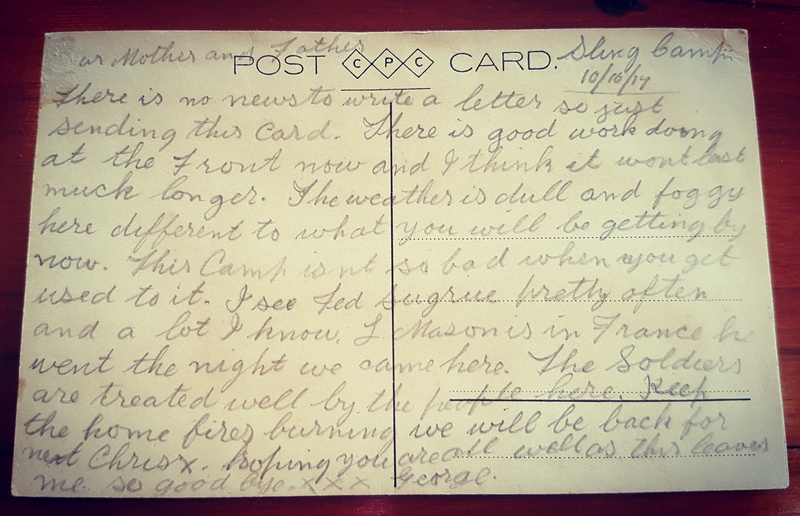 7th October – A small group of us got up before dawn and headed to Lijssenthoek Military Cemetery with the hope of locating Tom’s resting place. I was told to be prepared emotionally as this is one of the largest cemeteries, Tom being 1 of 9877 soldiers. We spilt up to try and find him and I swear we were being watched, maybe it was the light playing tricks but the shadows to me looked like military figures. Just breathe! After 40 minutes of searching in darkness, we found his headstone just as the sun started to rise. He was lying with other New Zealanders right at the back. I had a wee laugh thinking that would be right, kiwis partying in the back. I was overwhelmed with emotion and pride, I was finally here paying my respects to my Great Great Uncle. My friend Lance Corporal Raynor Martin played the last post while I placed a poppy and a photo of him by his grave. Just before we left I sang a verse of Amazing grace, said our goodbyes and I told him to “sleep peacefully”. 10th October – During rehearsals we took the opportunity to present Victoria Cross recipient Willie Apiata with the Nga Tapuwae Kahu Huruhuru. 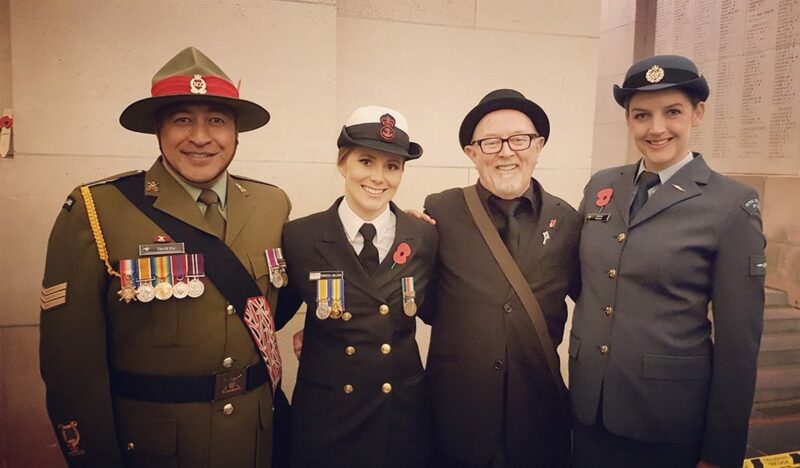 As I had the great honour and privilege of wearing the Kahu Huruhuru at the Battle of the Somme commemoration in 2016, Colonel Wellington and I had the honour of dressing Willie during the ceremony. This was truly a special moment which I will remember forever. 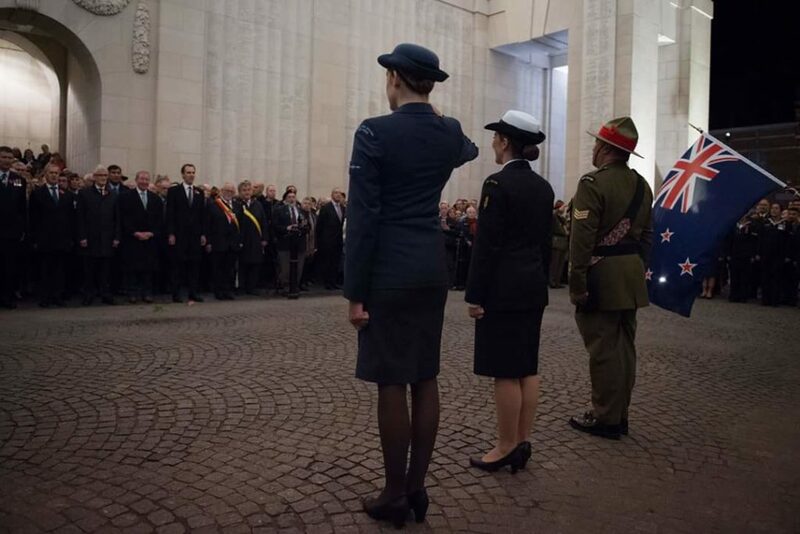 11th October – Every evening at 8pm there is a last post ceremony at Menin Gate. 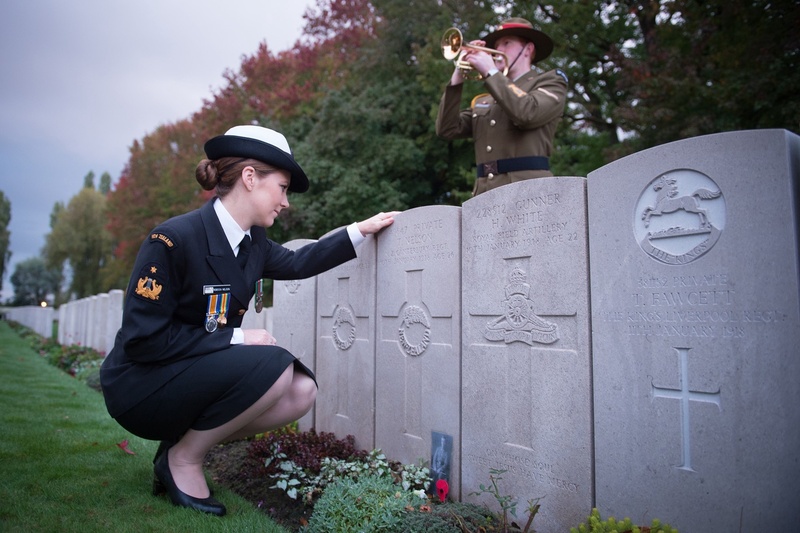 The last post has sounded everyday since the 11th of November 1929 (except during the four years of German occupation of Ypres from 1940 to 1944). 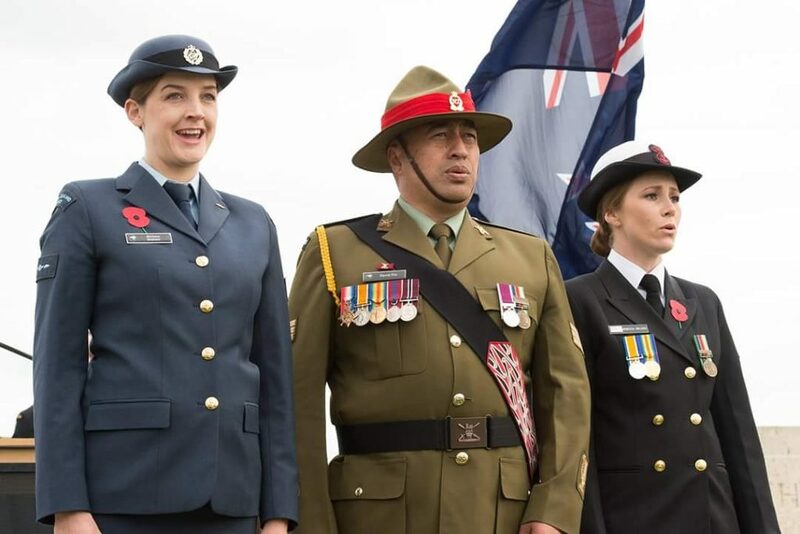 The contingent were invited to attend an extended service and bring a uniquely kiwi flavour. We marched from our hotel and assembled into position. A video and sound show telling the story of New Zealand’s participation in Passchendaele was projected onto the ramparts and a ceremonial waka taua was paddled down the river to Menin Gate. There was a particularly poignant moment for me during the service. The song “Keep the homefires burning” was played and I got a massive lump in my throat. 100 years ago my Great Grandad George Edgar was waiting in France for his deployment on the western front. He wrote home 10/10/1917 “There is good work done at the front now and I think it won’t last for much longer. Keep the home fires burning we will be home for Chris x” They had no idea what was about to happen in Passchendaele. The local volunteer Fire Brigade played the last post as they do every evening and the NZDF musicians played the reveille. LAC Barbara Graham gave a stunning rendition of the Belgium national anthem and myself and SGT Dave Fiu combined to sing the New Zealand anthem under the Menin Gate. 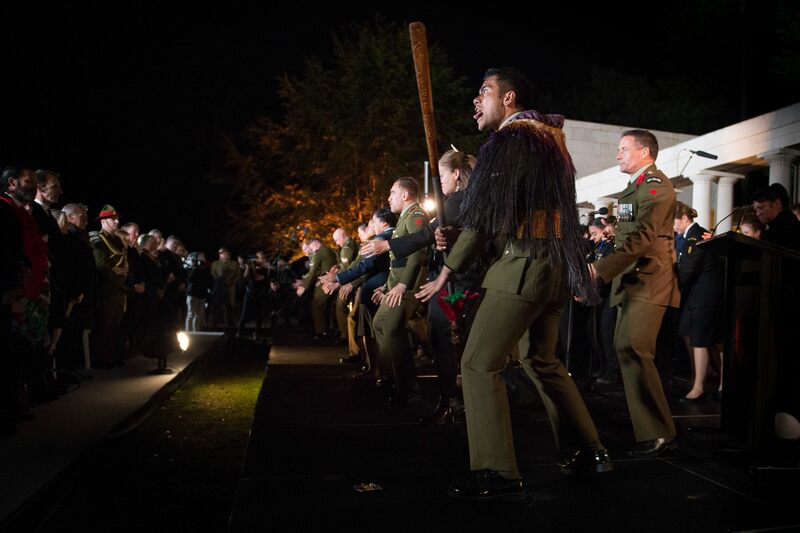 The NZDF MCG performed a spine tingling haka with Toi Maori and Kiwi legend Dave Dobbyn sang his beautiful song “Welcome Home”. 12th October – A century since “New Zealand’s Blackest day”. The first service was at Tyne Cot Commonwealth War Graves Cemetery and Memorial to the Missing, the largest cemetery for Commonwealth forces in the world. 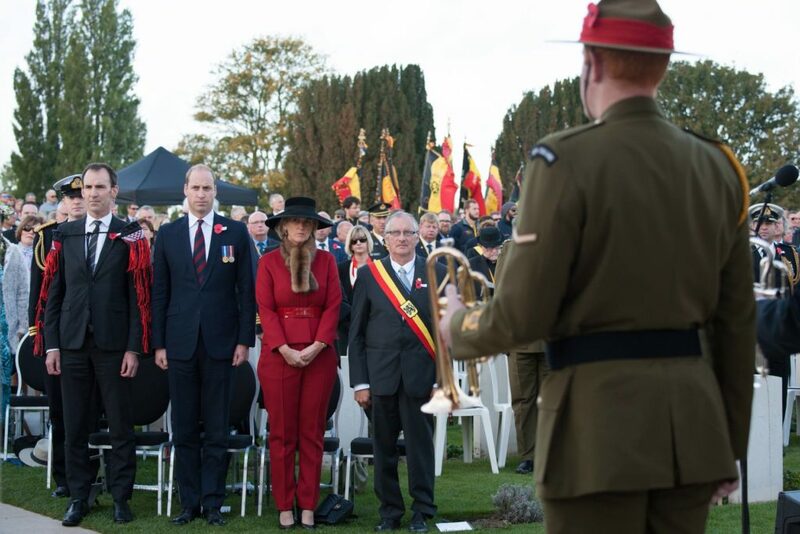 The service was attended by His Royal Highness Prince William and Princess Astrid of Belgium. Again I had the honour and privilege of singing the New Zealand national anthem with SGT Dave Fiu. It is always an incredible feeling looking out to the crowd and seeing other kiwis there singing with you and knowing we are all there for the same reason. We also sang Poppies and Pohutukawa which was extremely special, not just because I was singing it with SGT Dave Fiu who composed the music, but Vietnam veteran Chris Mullane who wrote the lyrics (originally as a poem) was also in attendance. It was amazing to be able to share this experience with both of them. I was then invited to sing at the opening of the New Zealand Memorial Poppy Garden in Passchendaele. 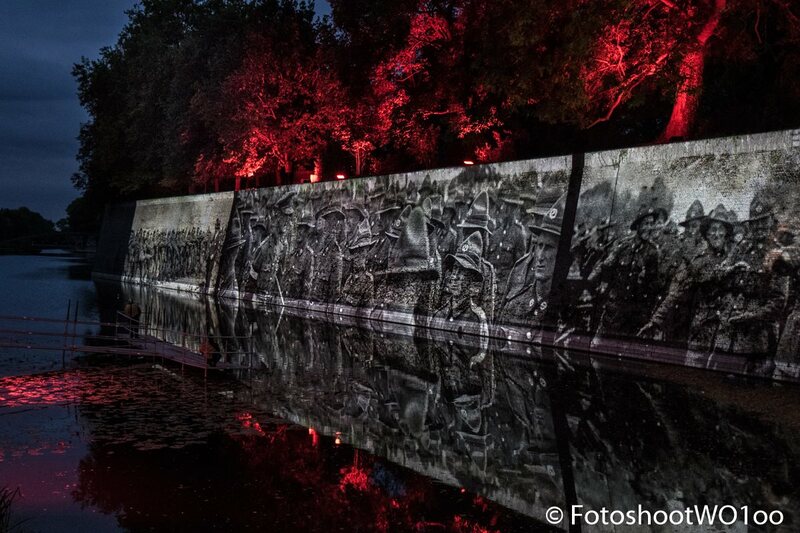 It’s a beautiful tribute to our soldiers and a special place to visit if you are ever in Belgium. There are a selection of native plants and many of the features are made from materials sourced in New Zealand. The lyrics to Poppies and Pohutukawa have been cast in bronze and set in stone. We finished the day with a Sunset ceremony at Polygon Wood. A lot of time and planning went into this beautiful service and it was absolutely perfect. The band played a song named Passchendaele which was composed by former New Zealand Army Band musicians Dwayne Bloomfield. Members of the contingent acted out scenes in WW1 attire, the MCG performed beautiful waiata and we finished with the NZDF haka. It was a moving tribute to our soldiers and I was so proud to be a part of it. This really was an incredible trip shared with an amazing group of people. 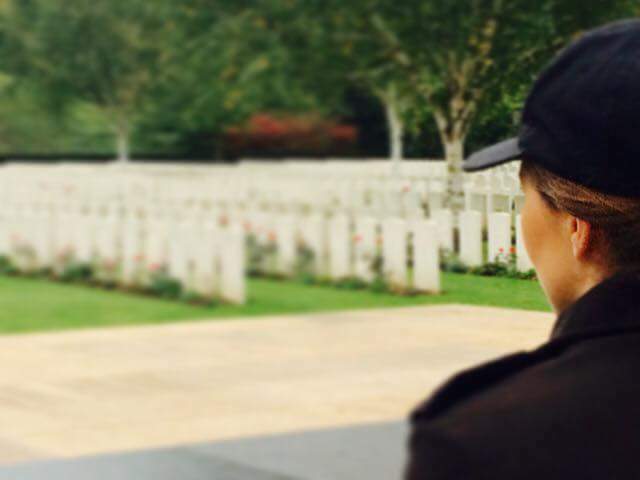 I’m so grateful for the opportunity to follow in the footsteps of our soldiers, to learn more about our history and pay tribute to those who made the ultimate sacrifice. They helped shape our national identity and selflessly put themselves in harm’s way for the benefit of future generations. It really makes you appreciate what we have today and is a reminder to live our lives to the fullest.